When I see how the kids in my son’s school interact, I can see that these kids don’t see the differences at all. They just want to be kids, everyone together. Kids understand what so many adults seem to forget, and that’s the simple universal truth that at their core, kids are kids. Kids want to play, kids want to learn, explore and grow, and it doesn’t matter where they come from, or what their religion is. Kids don’t come to the table with prejudices, with politics. And kids, of all traditions, will share their stories with one another. about the thirst for freedom in order to find happiness and sing ones authentic song. The story is centered around a poem that Solaim’s father used to sing to her. 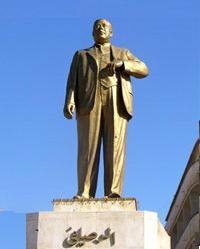 The poem was written by Iraqi poet Ma’ruf al-Rusafi. al-Rusafi was something of a social justice warrior of his day. Much of his writing was in rebellion to the neglect and poverty in his country and the thirst within the human spirt for freedom. 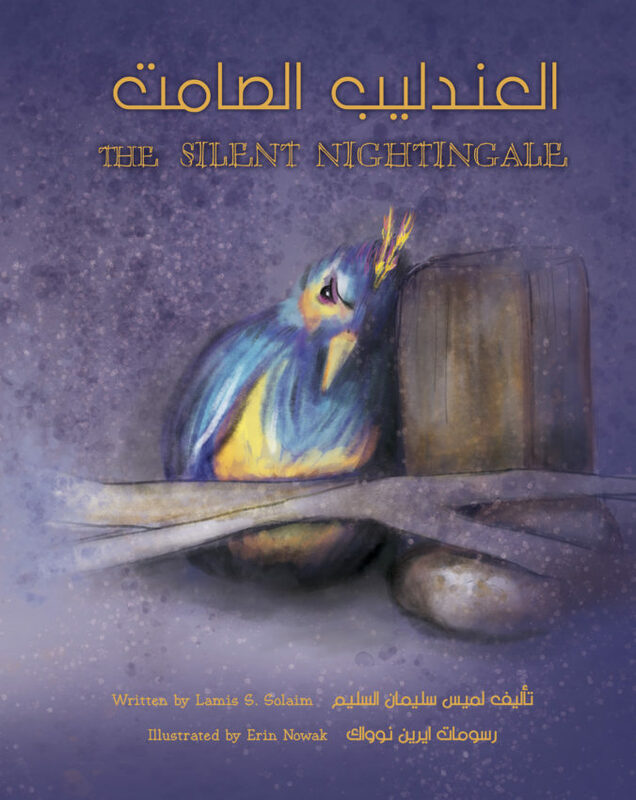 The text is lettered beautifully in English and Arabic, two languages telling the same story; a group of children capture a beautiful nightingale. They build the bird a beautiful house, they feed it, they care for it, but are unable to get it to sing until one of the kid’s grandfather sings them a song that explains that true happiness lies in freedom. Nowak’s color and detail is breathtakingly lovely. The images capture the spirt and playful nature of the children in their wide eyed idealism as they care for their new feathered friend, as well as the defiant face of the nightingale as she refuses to satisfy their desire to hear her song. Lamis S. Solaim and Erin Nowak have collaborated on something wonderful in children’s literature that makes a statement beyond the narrative of the text and images on the page. Using a small house to publish the work gave them the freedom to tell the story their way, using two languages, and reminding us all that no matter what language you speak, or where you are from, childhood is universal. Art is a response to the world around us, and in this day of so much division and bigotry, sometimes a sweet children’s book can make a statement louder than the words on the page in the name of freedom and in the hope of peace.